WREN aims to be a collective force in identifying and reducing disparities that lead to low health and education performance indicators statewide. WREN recognizes that the health and education of women and children is crucial in order to ensure statewide prosperity. We advocate for policies that lower the barriers that families, predominantly women and mothers, face when accessing services, resources, and rights. Reproductive health is a strong focus of our advocacy and education efforts, and is supported through the Be the Voice campaign. Education is also critical to enhancing the opportunities that women and girls have in our state. WREN advocates for affordable access to high-quality education, from early childhood development through post-secondary education, training, and certifications. We also advocate for girls’ and young women’s exposure and training to non-traditional career opportunities. We work to improve the quality and accessibility of information that will enable young people to delay pregnancy, protect their health, and increase their opportunities. South Carolina has a maternal health crisis for black mothers who are more than four times more likely to die in childbirth than white mothers. In 2015, about 1 in 5 infants (18.9% of live births) were born to a woman receiving inadequate prenatal care in South Carolina. Eleven of South Carolina’s 46 counties had no OB-GYN in 2016. 12% of females in South Carolina are uninsured. 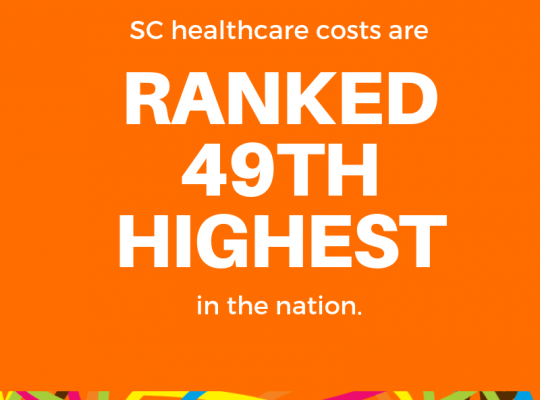 South Carolina’s healthcare system ranks 44th lowest in the nation, and its healthcare cost ranks 49th highest in the nation. Children who experience high-quality preschool are more likely to enter school prepared for success in academics and throughout their lives. Unfortunately, 70,000 South Carolina 3- and 4-year-olds are not enrolled in any preschool program. Many families struggle to afford early care and education, with an average child care cost of $1,181 per month. This problem is exacerbated for low-income families, who are often forced by limited resources to choose care based on affordability and/or convenience rather than quality. In South Carolina, 15 percent of these parents report their employment is affected by child care issues.